You’ll fall in love with this home as soon as you set foot inside the welcoming, cosy yet spacious living room. Beautiful blue gum flooring, full-length windows, exposed ceiling beams and a wood burner to keep you snug in winter. In the warmer months relax on the verandah in a private setting that offers an escape from the outside world. The lovely timber kitchen, the heart of the home with adjoining dining area, completes the open plan living space. On the ground level you’ll also find a roomy study that could be utilised as a 5th bedroom, as well as a double bedroom with a built in robe and full-sized bathroom attached. Upstairs is a further 3 bedrooms, 2 with built-in robes as well as a main bedroom with walk in robe and ensuite. The tidy, fully fenced, easy-care garden provides a pleasant outdoor space, beautiful as is or inviting to the keen gardener to make their own mark. There is also a double garage and plenty of room for storage under the house. 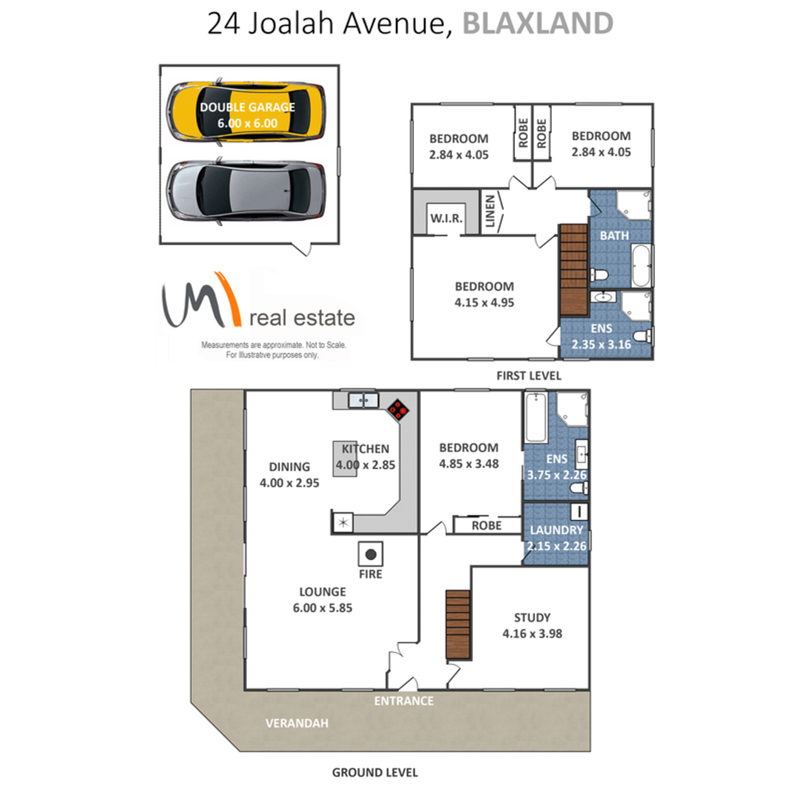 This home is nestled in a peaceful, leafy pocket of East Blaxland overlooking a bushland reserve and only a short walk to schools, transport and Blaxland Village. With Penrith a mere 10 minutes by car, you’ll be hard pressed to find a better location offering both idyllic lifestyle and convenience.